Social media is a crucial part of your marketing strategy. It helps build your reputation, grow your reach, and generate leads in an economical way. But, are you suffering from social media schedule overwhelm and dreading the time it takes to fill up your queue for the week? And you can’t just share your own content. You have to share other’s content too. Sometimes it feels like you’re spending your whole life on social media. Here are six simple steps you can take to keep your social media schedule running smoothly without taking over your life. 1. Do you really need to be on all those platforms? Here’s the thing: you don’t need to be on social media platforms if your target audience isn’t there. Don’t be on a social media because you think you have to. Choose wisely. Go where your target audience is. Demographics give you an idea of who is on each social media platform. There will be some outliers but, in general, if you’re targeting a specific audience, you should know where the majority are hanging out online. Facebook is the largest platform with the biggest range of demographics. In fact, 62% of all adults are on Facebook. Over 90% of Instagram users are under the age of 35. Pinterest is dominated by women – 45% of online women are on Pinterest compared to only 17% of men. Around 30% of online adults under the age of 50 are on Twitter. And they tend to be from urban areas rather than rural. By looking at these demographics, you can see that if you’re looking to reach a millennial audience, there’s no better place than Instagram. If your brand is focused on women, Pinterest is a good option. Does the platform suit your business? Not all platforms are created equal when it comes to showcasing your brand in its best light. Some platforms will be a natural fit, while others may be unnecessary to you. Facebook is very versatile and can be used successfully by almost any business. It’s set up so that you can make text posts, videos, graphics, live videos, or participate in groups. Instagram is a visual platform. If you sell a product, food, or can make the leap to selling the lifestyle people can aspire to with your products, Instagram is the place for you. Pinterest is a visual search engine and bookmarking site. Depending on niche, your Pinterest graphics should either be similar to Instagram (only tall, not square), or like miniature magazine covers displaying the title of your product, blog post, or freebie. Twitter limits your tweets to 140 characters. Tweets with images get more engagement than those without. This is especially for solopreneurs – if you don’t yet have the luxury of outsourcing your social media, choose platforms you enjoy. There’s no one platform that will make or break your success. By picking a social media platform you enjoy, you can learn everything about it and what it takes to become successful. Each platform has different keys to success. The best times of day to post, how frequently you should post, the type of content that does well… it all differs between platforms. Instagram and Twitter are hashtag natives, and you can use hashtags on Facebook too. But, there’s limited benefit to using hashtags on Pinterest and using too many can actually be harmful. Pinterest images do best if they are tall, rather than square or wide. This is the opposite of the other social media platforms. Hootsuite found that the best time of day to post on Twitter is 3pm, Instagram is between 12 and 1pm, and Facebook between 12pm and 3pm, Monday to Friday. If you’re overwhelmed by the number of posts you need to make per day across all your platforms, you can use a scheduling tool to post your content on your behalf. You simply need to fill up your queue with content and it will drip it out at your set times. Buffer – schedules Facebook, Twitter, Instagram, LinkedIn, Pinterest, and Google+. Hootsuite – schedules Facebook, Twitter, Instagram, LinkedIn, YouTube, and Google+. Tailwind – schedules Pinterest and Instagram. Post Planner – schedules Facebook and Twitter. Later – schedules for Instagram, Twitter, Facebook, and Pinterest. There’s another decision you’ll need to make – are you going to use an all-in-one scheduling tool? Or use platform specific tools? Pinterest specialists Tailwind and BoardBooster have all the features you need to make pinning a breeze. Facebook has an in-built scheduler and it’s debated as to whether your reach will be impacted by using a third party tool instead. Buffer and Hootsuite serve most social media platforms, however, their interfaces are very different. Post Planner only serves Facebook and Twitter but includes content recycling. Another great feature to look for in a scheduling tool is the ability to recycle your past content, saving you even more time. Your next step is to schedule your own content. Meaning your new blog posts, archive posts, your lead magnets, free courses, paid courses… and anything else you might have. Using whichever scheduler you’ve chosen, spread out your content promotion so that you’re sharing something of your own each day preferably at your audience’s prime time. There are different ratios people talk about when it comes to sharing your own content vs. other people’s content. As an example, you might’ve heard people say 80/20, with 20% of the content you share being your own. This is a good rule of thumb but feel free to experiment with the ratio and to see what works with your audience. Having a dedicated time each week for creating and scheduling your content will save you time. You can batch the creation of images, tweets, and your post copy. You can also batch your scheduling and schedule all your social media updates for a week (or longer) in one session. It helps build trust with your audience that you’re sharing the best content to help them, regardless of the source. It gets you on the radar of other bloggers and site owners whose content you’re sharing. It helps bulk up your social media schedule so you’re not under pressure to create as much content. But, how do you find a reliable stream of worthy content? 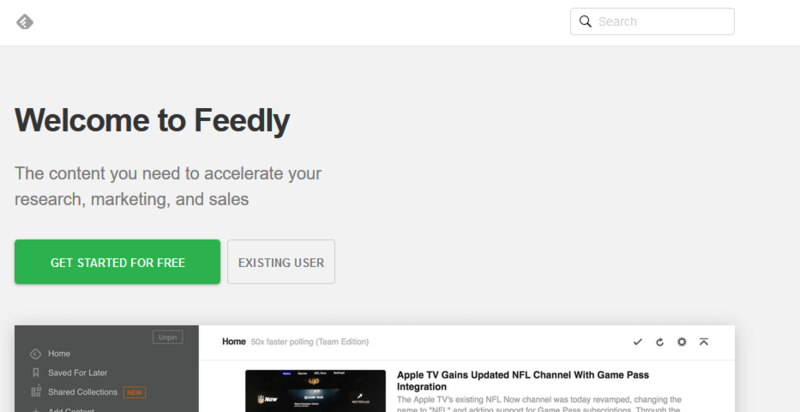 Feedly is a service that provides you with the latest posts from your favorite sites all in the one place. It works using RSS feeds, so anytime something new is published from a feed you’re following, you’ll see it in your Feedly. By following relevant site feeds on Feedly you have access to the newest content on a regular basis. All you need to do is check that the articles are relevant to your audience, click through to read them, and then schedule them. Most schedulers have a browser extension that makes it very simple to share new content on the go. You can use this in combination with Feedly to get your queue filled quickly. Buffer, Hootsuite, and Tailwind all have a browser extension that sends content to be queued with a touch of a button. Analytics aren’t everyone’s favorite topic of conversation. But, they are essential to judging the success (or failure) of your social media strategy. Most, if not all, social media platforms make basic analytics available to those with a business account. If you’re using a scheduler, it usually comes with built-in analytics. Some schedulers even go into greater detail than the native analytics. Pinterest provides extensive native analytics, including impressions, top pins, top boards, and more. 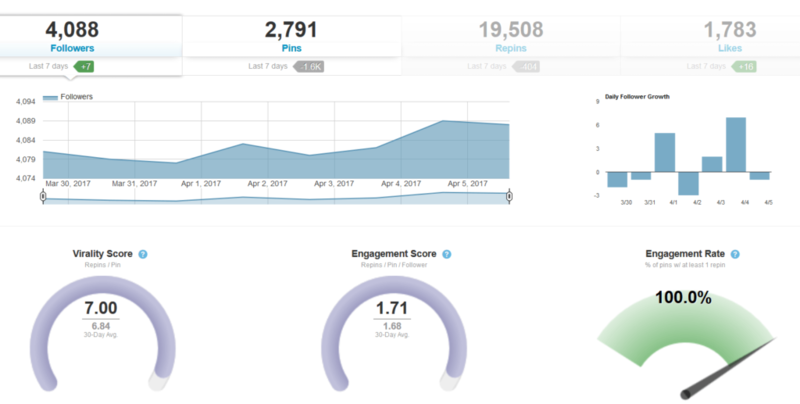 Tailwind provides even more analytics with scores for virality, engagement, board insights, and more. Learn how to read your analytics and apply them to your social marketing. If one type of post receives little engagement, re-evaluate why that’s so and if that type of post should be dropped from your strategy. Paying attention to your analytics helps you to do more of what works. And less of what doesn’t. 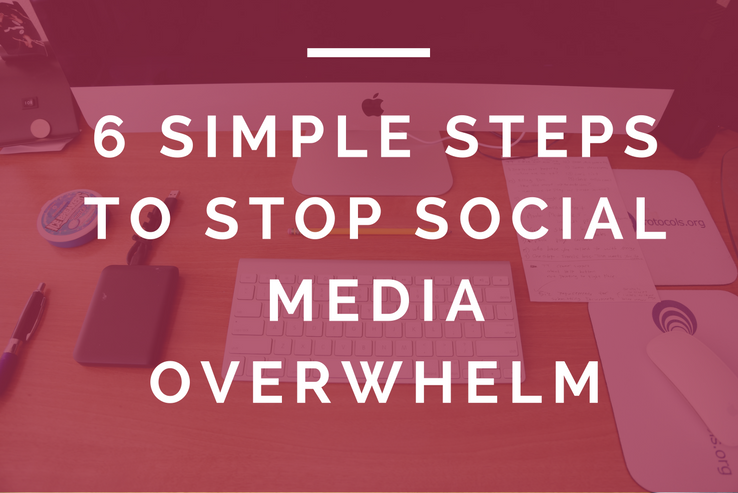 Social media scheduling doesn’t have to be a painful process. Being smart about which platforms you engage with, that your audience is on, and really studying into what it takes to be successful on the platform will help you build an audience of dedicated fans. Employing a scheduler will help you free up time and achieve a good sharing ratio of your own content to other people’s content. Finally, monitoring your analytics to determine your results will help you refine your strategy to your specific audience. Over to you – how are you feeling about your social media schedule? Cath Oneissy is a freelance writer for hire, specializing in digital marketing and social media. She works closely with B2B companies looking to increase their visibility through engaging and actionable content.